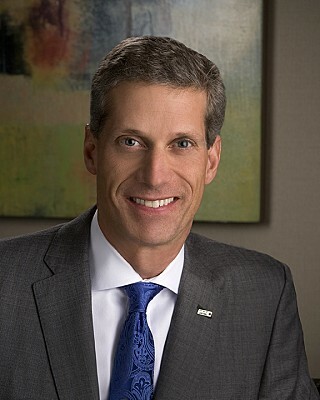 David Schutt, PhD, is the Chief Executive Officer of SAE International. He oversees the global management and operations of the +$120M SAE Group, consisting of SAE International, The Performance Review Institute, the Industry Technologies Consortia and several subsidiaries and joint ventures. SAE International is non-for-profit educational and scientific organization dedicated to advancing mobility technology and design engineering to better serve humanity. Its more than 138,000 members—engineers, business executives, educators, and students from more than 100 countries—develop technical standards, publish authoritative literature, and share information and exchange ideas for advancing the engineering of mobility systems. SAE is the world’s resource for designing, building, maintaining and operating self-propelled vehicles for use on land or sea, in air or space. Additionally, Schutt serves as the CEO & President of the Performance Review Institute, a trade association that advances the interests of industry through development of performance standards and administration of quality assurance, accreditation, and certification programs; as well as related activities for the benefit of industry, government and the public. It provides a full range of programs and services designed to improve manufacturing process and product quality by adding value, reducing total cost and promoting collaboration between global stakeholders in the mobility and other interested industries. Schutt also serves as the CEO & President of the Industry Technologies Consortia, a trade association that provides a unique framework for building industry infrastructure tailored to specific technology, market and industry groups. Consortia are managed to satisfy industry time horizons and responsibly steward resources to achieve shared objectives. Participants include private companies, government agencies, individuals, and trade associations. Together they build consensus and break through barriers to achieve solutions. Schutt serves on a variety of not-for-profit and for-profits boards, national commissions and local business organizations. He holds a doctorate in physical chemistry from Princeton University and a bachelor’s degree from Calvin College. He also earned an M.B.A. from Johns Hopkins University.